Last month several members of the Omega team hit the waters for some team bonding and little fishery! 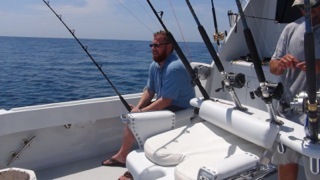 VIP’s guide discusses the catch with Mark and Jeremy Knysh and Omega engineer, Greg Loomis. 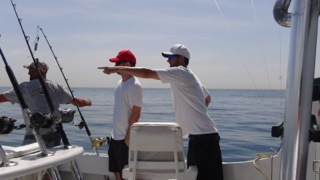 Pointing the way to the big catch! 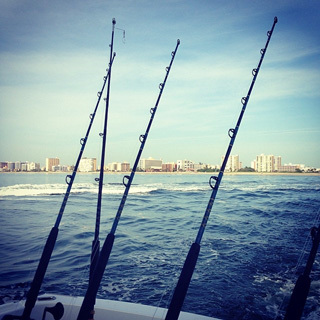 Chartering a boat from VIP Fishing Charters, we joined in the second annual South Florida Claims Association fishing tournament. 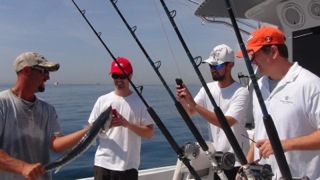 Anglers in, perfect weather and water for a day on the ocean. A peek in the ice box! Dipping in at the Hillsborough Inlet in Pompano Beach, six of us set out to hook something to cook. John Heitz bringing in a fighter! 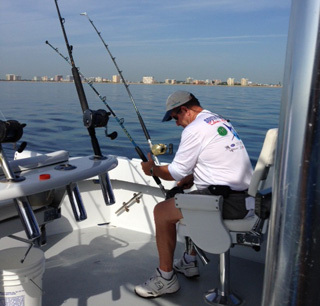 Jamey Bennett reeling in some mahi mahi! In attendance were Omega’s president Andrew Knysh, Senior Engineer Greg Loomis, staff members Mark Knysh, Jeremy Knysh, and Jamey Bennett, and outside consultant, General Contractor John Heitz. 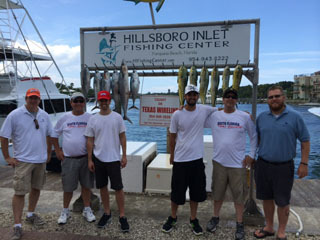 The fishing team (L to R): Greg Loomis, John Heitz, Mark Knysh, Jeremy Knysh, Andrew Knysh, and Jamey Bennett. It couldn’t have been a more perfect day for fishing. The water was calm, the sky was clear, and the fish were biting. 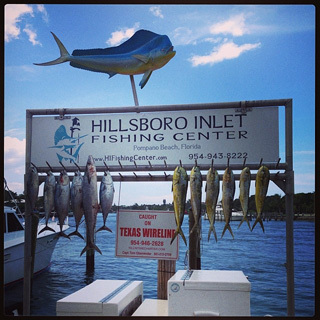 We didn’t catch anything huge, but we did get some tasty mahi mahi! 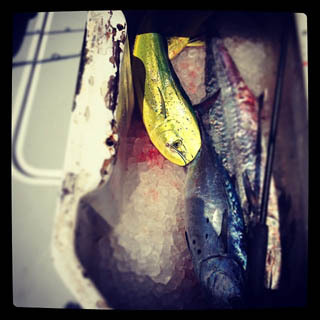 The day’s catch made for some good eating. Afterward, we went back to the Longpointe Country Club for a luncheon with the other participants. 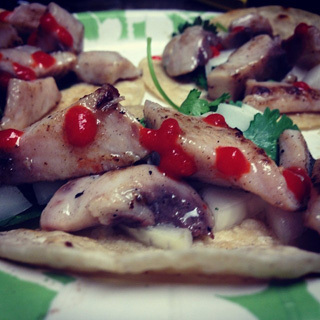 And then we made tacos!